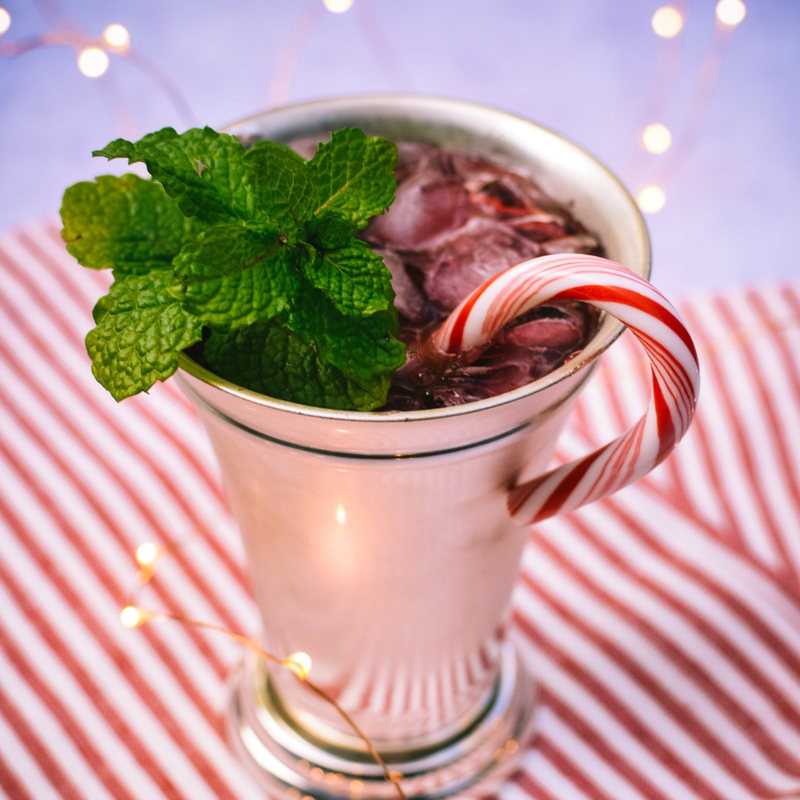 Can we talk about holiday drinks?? 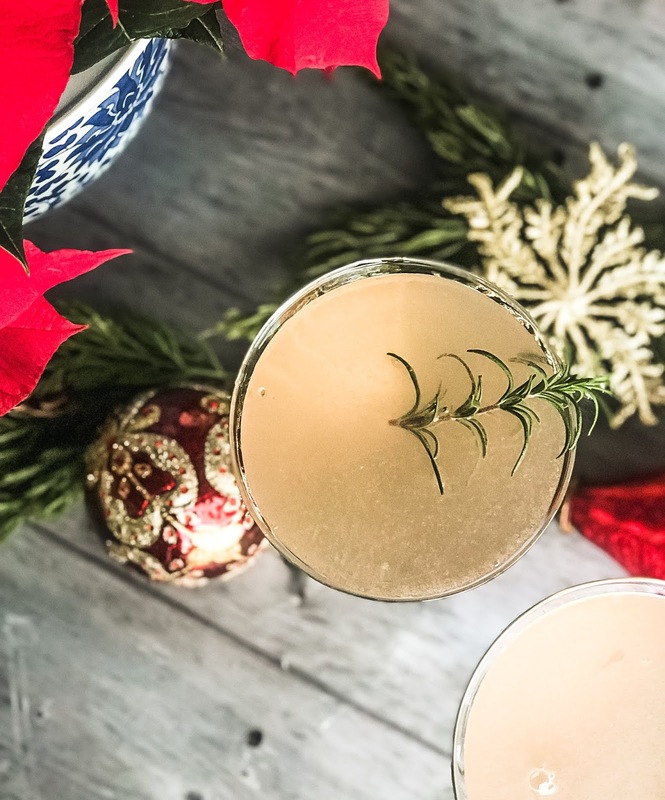 Because I’m loving making all of these holiday-inspired drinks. I hope you are enjoying making and drinking them too. 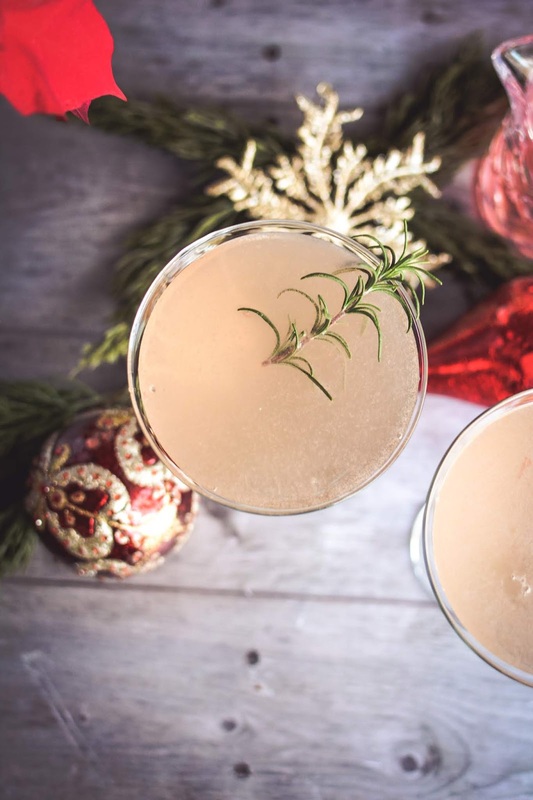 Anyway, this one is all about the holidays–delicious grapefruit, rosemary, gin, and a touch of sparkling wine to bring all of the festive cheer. Any type of grapefruit cocktail is a winner in my book. 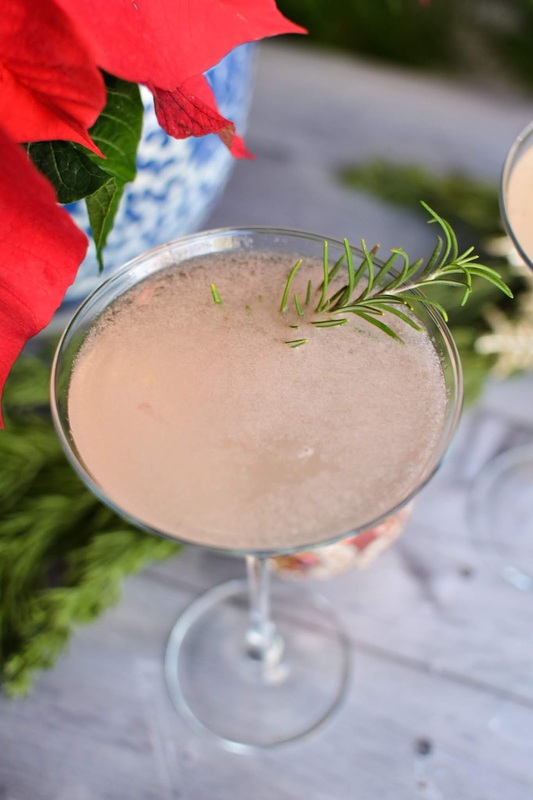 Infuse a little rosemary into the cocktail and it definitely makes it even better. 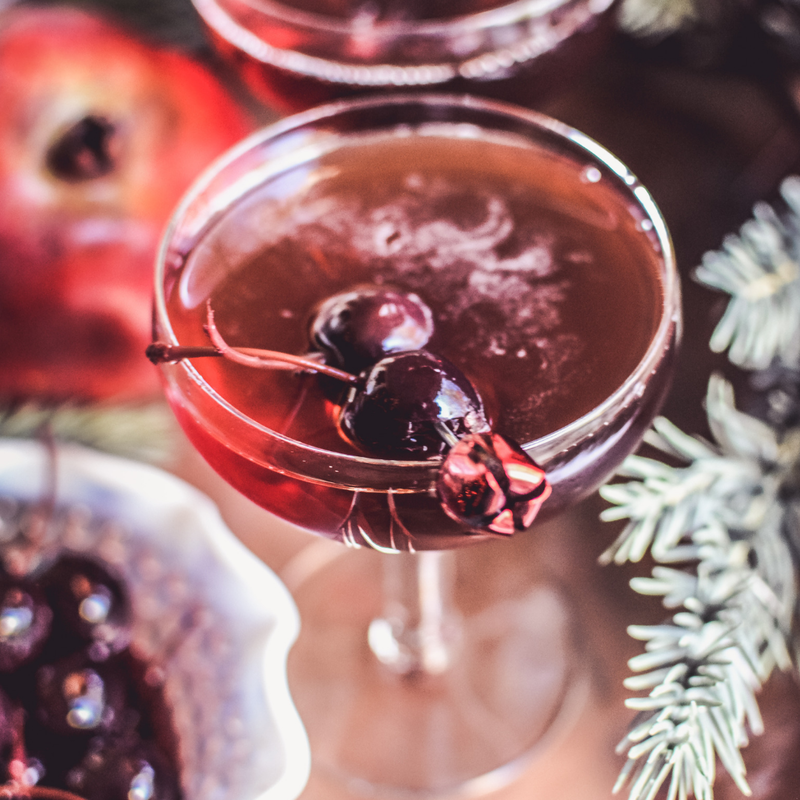 The secret to this martini is definitely the gin. 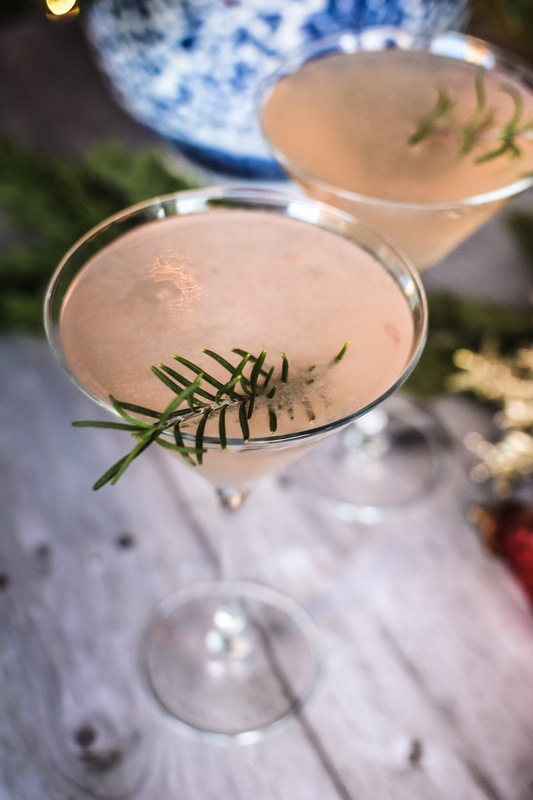 I actually made this cocktail with two other gins– both a little more herbal having more juniper flavors. Citadelle was the perfect compliment. It’s well rounded with more floral notes and a little spice. The gin doesn’t overpower the cocktail but compliments the grapefruit and rosemary nicely. 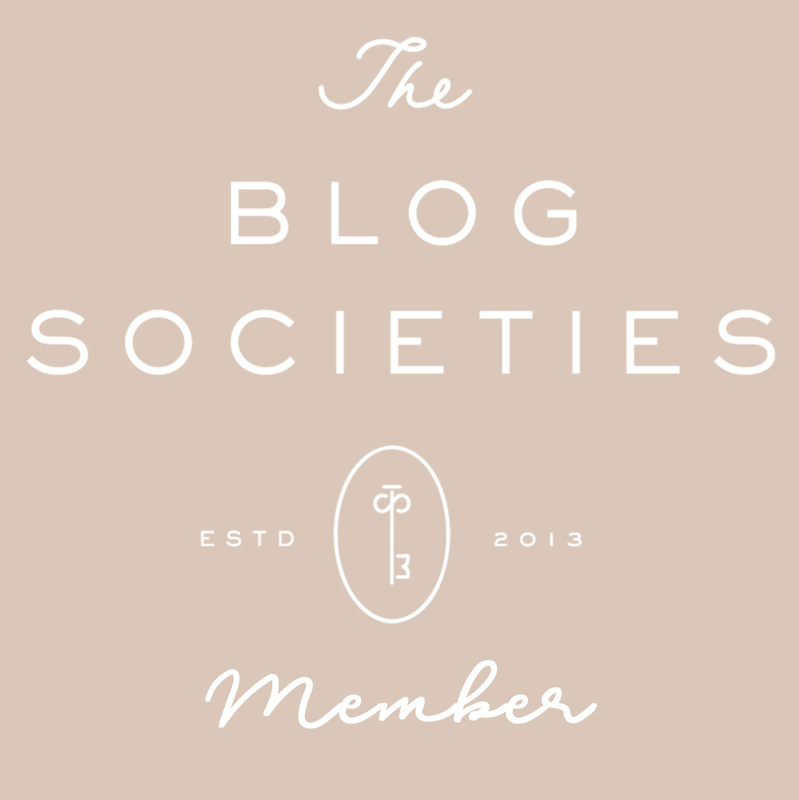 If you are unsure of what type of gin you might like and how it will pair in your favorite cocktail, you should check out this site–The Gin Is In. 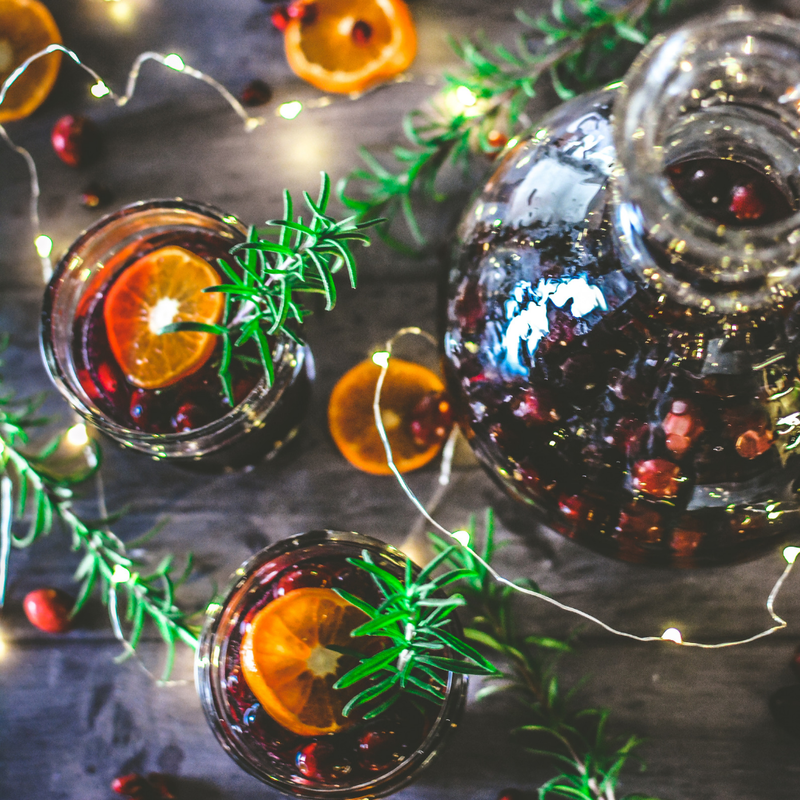 They have an awesome classification system which reviews almost every gin out there and lets you know whether they are more herbal, floral, citrus, heat, spice, or juniper. Believe me, it helps a lot when you are in the spirits store and are overwhelmed by what gin to buy. But of course, tasting them is always the best way to determine how they will taste in your cocktail. 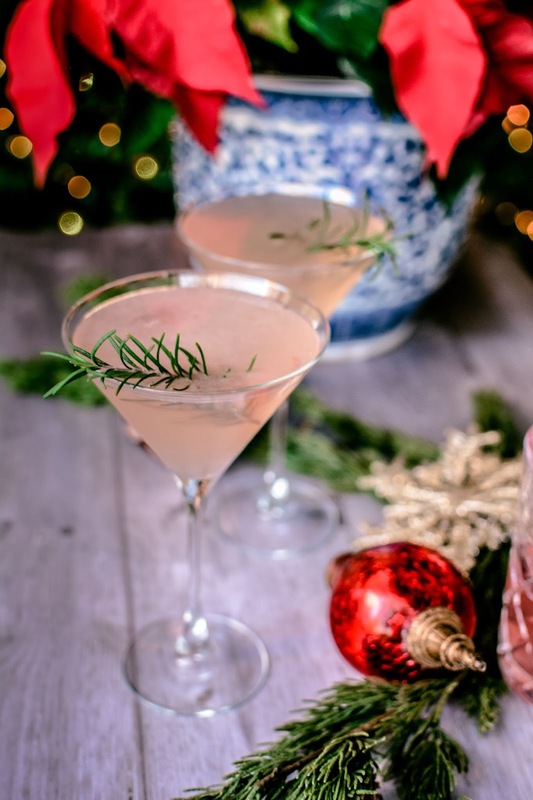 In a cocktail shaker filled with ice, add the grapefruit juice, gin, rosemary simple syrup, and shake vigorously. Pour into a chilled martini glass. Top with champagne or sparkling wine. Garnish with a sprig of fresh rosemary. In a small pot over medium heat, add the sugar and water. Stir until the sugar is dissolved. Bring to a boil. Once the mixture is boiling, reduce the heat and allow to simmer for 3-4 minutes until starting to thicken. Remove from heat and add the rosemary. All the syrup to cool completely. Remove the rosemary sprigs and store in a covered container in the refrigerator for up to 1 week.